Get instant bed bug identification by submitting a picture through our website, it doesn’t get any easier than that! Bed bug identification is very important because pest control can be incredibly expensive for small business owners running a hotel, motel, or bed and breakfast. In fact, having effective pest control can make or break your business – your very reputation depends on having a comfortable atmosphere for your guests and clients, and that means being free of pests. Just as your business depends on this, so does the livelihood of yourself and your family. Therefore, it’s important to take pest control seriously. Bed bugs can be a recurring bill, as many treatments have to be administered periodically to maintain effectiveness. This can really add up and take a toll on your profit. Not only that, but if your business depends on having accommodations readily available for guests, you don’t have time to wait for exterminators to identify the problem, closes down rooms, and treat for pests. After all, time is money. There is an almost constant risk of bedbug infestations. If you’re not an exterminator, you may not know with certainty that you have bedbugs, which can lead to a long, costly process of hiring an exterminator to identify and then treat the pests, and then recurring treatments. With my site, however, if you merely take a picture of your suspected bedbug, you can get instant identification! That’s right, all you have to do is send a photo of the critter in question to the site, and we can identify whether or not you have bed bugs immediately. This can ease the hassle and strain of determining what to do next – with instant identification of your bedbug problem; you can determine the best course of action to pursue to treat your problem. FOR INSTANT BED BUG IDENTIFICATION submit a picture for identification. 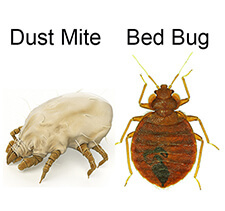 If you have bed bugs then we have an eco friendly bed bug treatment that will effectively treat your bedbugs – forever. You will save time by having an instant answer on the identification of your bedbugs, and with Bed Bug Barrier, once treated, your beds will be available and ready to sleep in that very night. You won’t have any costly delays waiting for pest control and waiting for the rooms to be ready again – after all, time is money, and you can be back in business by nightfall. Use our instant identification to find out if you need our Bed Bug Barrier solution is right for you and your business.